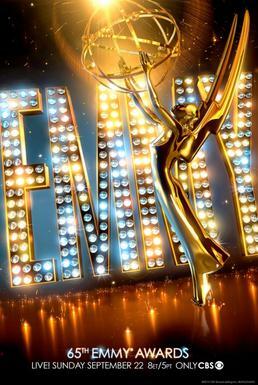 Last weekend the Primetime Emmy Awards were presented in downtown Los Angeles. The theme of the evening seemed to be change – how far television has come as an industry and an art form, with sophisticated dramas and cable television very much in evidence in the nominations and wins. They did something different this year, bringing the Choreography award to the main ceremony, instead of keeping it at the Creative Arts Emmy’s presentation. Who knew there was an Emmy for Choreography? It was fun, and the choreographers looked so tickled just to be there. My favorite part was the bit leading into the dance number where the choreographers were explaining their desires and plans – collaborating together to create a set idea and choose music. The dance was a highlight in the show. I enjoyed the sets for the show, with the large square screens, going up and down, working so effectively together. Awards and variety shows mesh digital and mechanical technology. Projection to create sets and backgrounds has been expanding – I particularly like the work they do on America’s Got Talent for the live shows. The Creative Arts Primetime Emmy list is actually really cool. This is where the kudos for camera, art direction, lighting, editing, costume design, makeup, hair, sound, SFX and stunt coordination are awarded. I wish this event was also televised – somewhere. Hey, here’s an idea – next year do a stunt performance display in the main show…in fact why not showcase each of these departments in the main show in turn over the next few years? And how delightful to learn that one of my favorite people Tim Gunn won an Emmy. I fell in love with him a few years ago on Project Runway, when he revealed that he considers the Metropolitan Museum of Art his “church”. I liked the behind the scenes tour we saw in the last Episode (Season 12; Ep. 10) with the super fans. What the Creative Arts Emmys do is highlight the number of people working behind the scenes. Every department head has people reporting directly to them. Every single series, special, mini-series or special event program has an army of workers – all striving for excellence. Every single one of them was new to the business once upon a time. Next Why Have a Business Card?